Ice cream, common across all cultures, is being heralded as a new language....with the sound of a lick!! The new venture of Adam Ziv, a Jewish kibbutznik from Sasa and Alaa Sawitat, an Arab Muslim from Ma'alot Tarshiha is "Buza" a luxurious ice cream parlour in the Western Galil. Taken from the Arabic word 'Bouza' meaning ice cream, this new shop opened in Tarshiha shuk last July and already attracts a mixed clientele, only interested in the homemade new flavours of ice cream on sale that day. During a gap year in Europe and Africa, Ziv apprenticed at gelaterias in Italy as well as in ice cream parlours in the Canary Islands, with the aim of returning to Israel to set up his own store. Seeking the advice of his old family friend Sawitat, who co-owns one of the Galiliee's high class Bistros 'Aluma' in his hometown of Maalot-Tarshiha, they decided to join forces on the ice cream venture and open Buza, a partnership that allows Ziv to create the ice cream and leaves Sawitat to run the business. They currently have four outlets to sell their delicious ice cream, as well as running a workshop on Kibbutz Sasa, teaching the art of making this sublime creamy dessert. The raw ingredients used in the making of ice cream is local produce sourced within the Galilee, with a little help from imported delicacies such as nut pastes and rich dark chocolate from Italy. 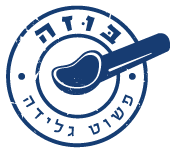 Their motto 'פשוט גלידה' 'simply ice cream' is exactly their ethos and one that can be shared by Israeli's and Arabs alike.....well worth a visit! Step inside this little gem, off the beaten track of Machane Yehuda and you will think you have just walked into a little Parisian Fromagerie, Basher's Fromagerie, bought to Jerusalem by Eli Basher. For three generations, the Basher family served authentic Jerusalem dishes to the local community, until Eli turned his passion for French cheeses into a reality and the family restaurant became a Fromagerie, a delight for the chefs and locals alike. 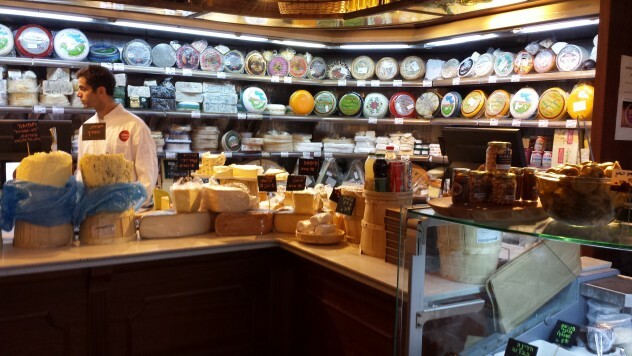 Every month, Eli makes his way to Rungis, the famous French wholesalers outside Paris to replenish his stock of 1000 different cheeses sold in his shop, together with local wines, speciality breads and delicacies that only compliment the little piece of France, found here in Basher's Fromagerie. Israel's top chefs have added a new dimension to their cuisine, using the traditional cheeses from Europe and elevating their menus, by pairing the flavours with local produce, to create exciting new dishes served in many of the country's very best restaurants. 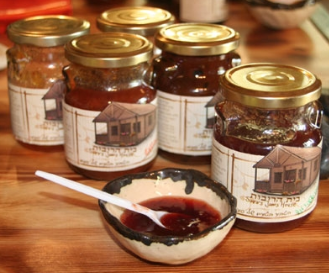 Tucked inside Moshav Kidmat Zsvi, 5 minutes north of Katzrin up in the Golan, is Sara's House of Jams, a wooden house crammed full of jars and bottles of her homemade jams, preserves, relishes and sauces, made from only the freshest seasonal fruits. All of Sara's products are completely free from all preservatives, simply made with seasonal fruits and vegetables, whole spices, fresh herbs and lemon juice, each one a unique and refreshing taste. Sara's House of Jam's is a genuine culinary experience, as you are encouraged to taste any of the 150 varieties of jams or preserves that she makes herself. She is happy to explain about her jam making process and the flavour combinations she puts together, including Fig & Whisky, Blackberry, Balsamic Vinegar & Black Pepper as well as a wonderful Strawberry Jam. The tasters are put out on a centre table and when you have chosen your favourite ones, they are simply packaged, to take away for your own pleasure or to give away as a wonderful present from Israel. In March 2011, chocolate artist Ika Cohen established her own chocolaterie, opening in a small shop in Tel Aviv on Yad Haruzin. With large open windows, the art of chocolate making is visible to all that pass by. Ika won international acclaim at the Chocolate Awards in Florence in 2014, winning the gold medal in the flavoured dark ganaches and truffles category with a ganache made with za’atar, a thyme-like herb found all over the Middle East. Since her win, Ika has launched her new line in pralines working with the reputable French chocolatier Gilles Marchal. Her new flavour combinations now include salty caramel and pistachio marzipan, amongst others and her chocolates are kosher too. Visit her shop or website www.ikachocolate.com to indulge yourself or others with her delicious range of chocolates.